MOSCOW, the Russian Federation, (BulgarianMilitary.com) – The Russian arms exporter Rosoboronexport, takes the opportunity, which the exhibition Airshow China 2018 provides, to display for the first time abroad its latest Viking air defense missile system, which is the export version of the Buk-M3 air defense complex. This was reported yesterday by the Russia’s news agency TASS, citing the press office of the state-owned company, learned BulgarianMilitary.com. This year’s China International Aviation & Aerospace Exhibition has started yesterday (6 November) in the city of Zhuhai and will be held until 11 November. There, besides the new addition to the family of the Buk missile systems, displayed for a first time at an international exhibition, Rosoboronexport also showcases newest military hardware, part of its product portfolio, namely the Il-78MK-90A aerial refueling tanker and the Il-76MD-90A military transport aircraft. According to Rosoboronexport’s press office, the military products which the Russian sole arms exporter also exhibits at the current China’s professional aerospace trade show, amount over 100 weapon systems, including the Su-35 super-maneuverable jet fighter, the Su-32 fighter-bomber and the MiG-29M/M2 multi-role fighters. For the visitors and participants at the Zhuhai-based exhibition, Russia provides the opportunity to be seen the capabilities of the Mi-171A2 and Ansat helicopters, via demonstration tour across South-East Asia, which will be held by Russian Helicopters with the support of Rosoboronexport. 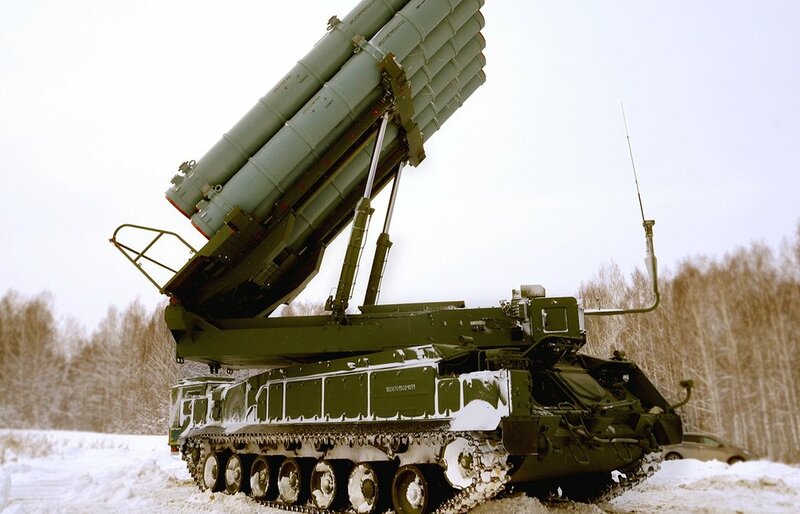 The export modification of the latest Buk-M3, accepted in service with the Russian Army, Viking, is medium-range surface-to-air missile system for protection of troops and infrastructure facilities against future advanced weapons for air attack amid jamming and counter-fire. The Viking air defense missile complex features high accuracy to strike aircraft, elements of precision weapons, tactical ballistic and cruise missiles and sea and ground targets. It can be also integrated with the Antey-2500 long-range mobile multichannel air defence missile system (ADMS). The modernized version of the Buk-M2 retains a range of 65 km and can attack six targets simultaneously for each self-propelled launcher, while retaining 18 ready for launch guided missiles at a firing position of two combat units.